This is not just limited to tablets and smartphones but gaming consoles, computers and laptops. I’m also coming from living this exact problem and I’m currently writing a series of parent tips with tech use in their families. The following is a list of tips that I hope helps achieve some balance in your household – we’re trying in mine and it’s takes time to build new behaviors – trust me! Stay patient and you’ll discover a new connection with your children. 1. You can control access – so limit it – you are the parent! 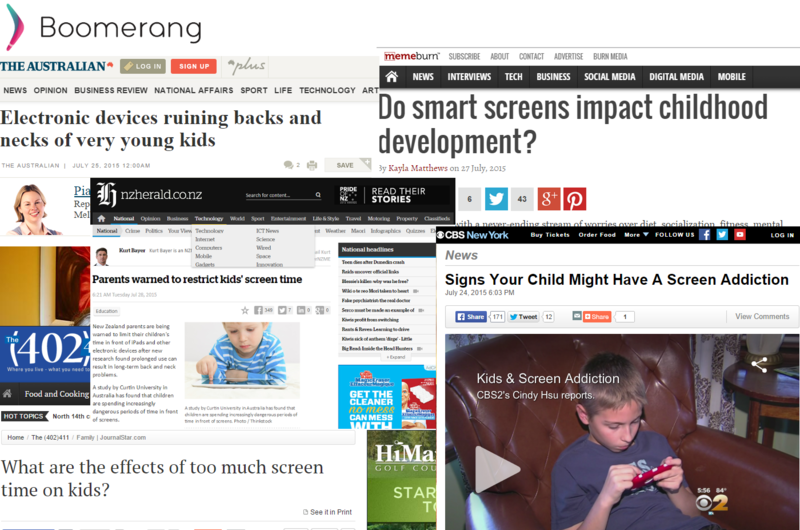 I previously wrote about limiting access to your children’s devices in their room. Another trick that works and must be reinforced is having a central spot in your house called “The Charging Station”. This is where your children’s device are put overnight and get charged. Build the habit that before bedtime, all devices are put in this location. It takes a bit of reminding for the first week or so but it then becomes routine. Most kids may go even as far as sneaking their device from this location so if you fear this, hide the devices. I’ve spoken to my children’s teachers and they share a concern where they can tell when a student in their class has been up really late. Sadly, when they ask why they are so tired they’ll often answer they’ve been playing games until late or texting with their friends! These are elementary school children! Family time – meals, movie time, car rides, family visits, etc. Use technology time as a reward so only after finishing house chores, homework, or walking the family pet does their tablet become available. Smartphones and tablets are quite advanced devices with so many features that it is actually getting overwhelming when you start to dig in. You may already know this but there are some limited parental controls in both Android and iOS devices. These typically work for younger children but do provide an opportunity to build some good behaviors and make sure your child doesn’t get into something by accident (you know, an “innocent tap” on an app, YouTube video or setting). Another neat trick which in my experience is not super user friendly but can be useful for younger children is the Guided Access feature available in iOS7 and iOS8. 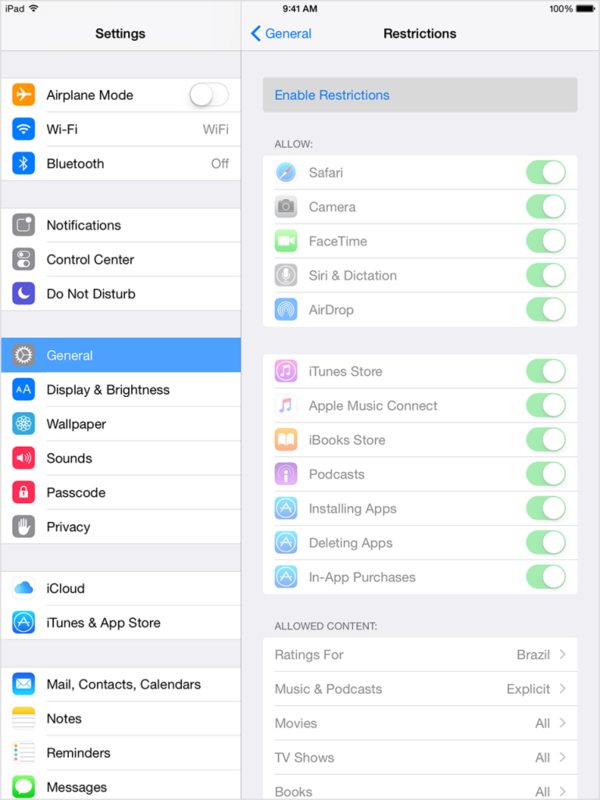 This mode on iPods, iPads and iPhones allows the device to be locked into a single app. This is accessed by taping on Settings > General > Accessibility > Guided Access to set it up. You can also read more about it on Apple’s support site here. I’ll focus on the latest version of Lollipop which in my case is on a Samsung tablet. 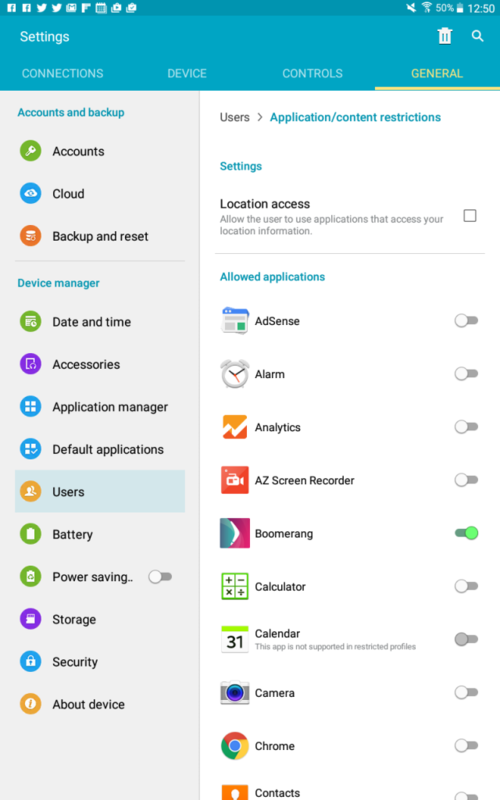 Android devices do allow for multiple user profiles which includes creating a Restricted User account that allows you to select apps you want to run with that account. Once you create the restricted user account, you’re presented with the apps you’d like to be available for that user. There are some limitations such as some apps cannot be blocked but from my experience, all apps downloaded from the Play Store are selectable from the device. Some of these points have been mentioned above but they are so important that they deserve their own section. Providing a way for your children to earn time on their technology is a must like building a family to-do list where certain chores or activities need to be completed before time on their devices is possible. If your children are bit younger, make this fun where stickers or progress is shown on the family to-do list. Here are just some of the various things your children can do (from some of the things we work on in our household) and in return this builds a good reward system that comes from doing something before getting something. Valuable qualities as our children grow up into adults and have children of their own. All depending on the character of your child, it’s also OK to provide some down time before a chore gets done. An example is when your children come home from school, they need their “own” decompression from their day. Allow 20-30 minutes of their own time, this can include technology use but make it clear there’s a timer and things to do once they are done. One great way to reconnect is in fact to do something together as a family. The key is to make it a reoccurring event and this activity can be truly anything. We love family movie nights and also do quite a bit of camping where we are in the outdoors typically without any cellular service. With family movie nights, this is an event that is in front of a screen but instead of being spread out throughout our house, we are all together at the same time enjoying a moment together. art projects – drawing, scrap-booking, etc. play outside – throw a ball, find a bike park, go to a local school playground, etc. For this to work, an important component for some of these activities is to make them visible in your home. As examples, if you have a library of books for your children, display them in a central area of your home or playroom. If board games, keep a couple of boxes hovering around the family room as reminders. Being an entrepreneur and involved in technology like I am, it can be difficult to provide the direction to your children about their technology use when they see you on yours all the time. What I do is share that there is different quality of time spent on devices such as when I’m working, I’m working and not playing games. So it’s important to share with your child what good looks like and realize that everything has to have a balance – everything in moderation. Not taking breaks from technology, in my case I do enjoy my camping weekends as where we go has no cellular service thus that removes a big need to check into notifications from my emails, social media, etc. As an ever evolving subject, I look forward to learning more about it and sharing my thoughts on the subject. Don’t be shy, feel free to share your own experiences too. Email me.